Whether you drive a manual or an automatic transmission car, it’s important to keep your car’s transmission running smoothly. Automatic transmissions need regular servicing to ensure maximum performance, economy and service life. The automatic transmission is one of the most sophisticated parts of your car. Our transmission servicing package includes tasks such as draining the transmission fluid, removing and cleaning the oil pan, inspecting fluid condition, full transmission flushes, and checking for leaks. Clutch repairs and transmission servicing should always be carried out by a professional. Clutch Components: A clutch consists of a cover, a clutch plate, a flywheel, a pressure plate, a diaphragm spring. Automatic Transmission Components: Inside an automatic transmission, there is a complex assortment of parts in a fairly small space. Among other things there are a planetary gear set, a set of locking bands, clutches, a hydraulic system. Oil pump to move transmission fluid around. Getting a transmission fluid change and transmission flush is important maintenance for your vehicle’s health – that’s why vehicle manufacturers recommend regularly scheduled transmission service. If you keep up with your transmission maintenance, your car can run newer, stronger longer. We also offer truck transmission services, which is needed for trucks that tow under heavy conditions. Firestone’s expert auto technicians can take care of all your vehicle transmission needs and keep your car functioning at peak performance. All Fuelcon stores are equipped with high-technology engine management scanning equipment to assess your vehicle transmission systems and identify faults. The system generates codes for Antilock Braking Systems, airbags, transmission and other systems. As cars develop technically, more sophisticated equipment is now required to perform even simple tasks, like resetting service lights, performing a wheel alignment or rotating the wheels. All work is backed by our industry-leading USA-wide guarantee. It is recommended that you get your oil changed every three months or every 5,000 kilometres, whichever comes first. What other vehicle issues can seem like transmission problems? 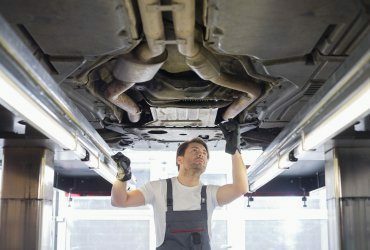 There are many possible issues on a vehicle that can make it seem like there is a problem with the transmission, many of them are inexpensive to repair. How often do I need a tune up? Most manufacturers recommend around 100,000 km, but this varies from vehicle to vehicle and manufacturer to manufacturer. Will my car never break down if I maintain it properly? With proper maintenance, your vehicle is less likely to break down, but it is unlikely that it will never break down. © 2018 FuelCon. Powered by Zemez.